Timau River Lodge is situated on the forested slopes of Mt Kenya, a wonderfully offbeat place, consisting of several lovely Cedar Log Cabins, Thatched Huts and a Dormitory style House for Larger groups. A well equipped campsite with a large covered kitchen area. The lodge offers the best view of Mt Kenya, all three peaks, Lenana, Batian & Nelion are visible from the lodge’s view point. Timau River Lodge has no star level and nor have any intentions of pursuing any. The lodge has a very calm environment and so are all the individuals that manage and staffed there. We have a friendly approach to all our guests and make sure all our guests are comfortable. Very laid back, very natural. 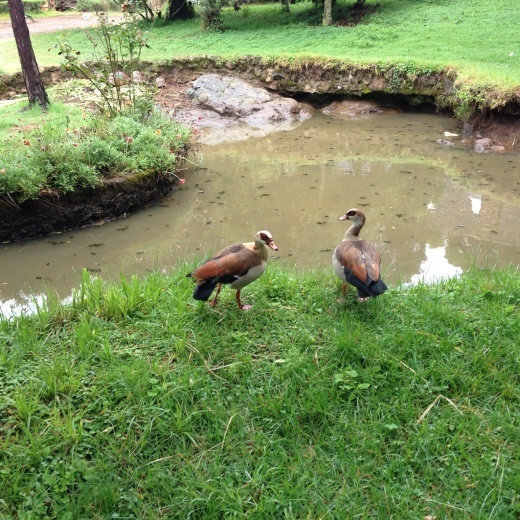 An idyllic setting with a whole range of animals roaming free through out from the peacocks, ducks, geese, tortoises, guinea fowls etc. The lodge is a base for climbing Mount Kenya through Sirimon route. It is at 2,240 metres in altitude, the evenings can be particularly cool, so you definitely need to have warm clothing. The lodge is situated 1km from the main road approximately 1km from Timau Police Station heading towards Isiolo - Meru Junction. Guests can travel to Sirimon Gate to Mt.Kenya National Park for day trips or summit in 4 days depending on ones health and fitness. Mountain biking is also activity many would enjoy around Timau River Lodge. Guests can also visit the Ngare Ndare Forest for high canopy walk, canyoning, swimming in the natural blue pools. Ol Pejeta and other conservancies are reachable within 1 hours drive. 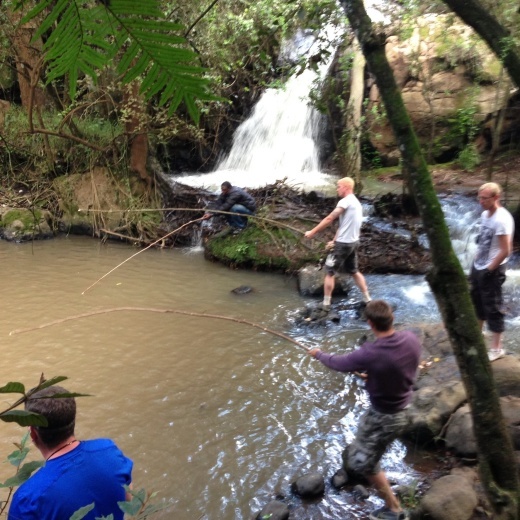 Trout Fishing is a very popular activity many can carry out at Timau River Lodge. Guests can also visit the local fruit and vegetable markets to sample the fresh produce. A trip to the numerous flower farms neighbouring Timau River Lodge can always be arranged upon request. There's always 1600 acres of forest to hike and plant a tree from our nursery.